customer Service and satisfaction is our first priority! A full-service pest control company, we specialize in the extermination of ants, spiders, bedbugs, roaches, rodents, and insects. We also provide services for the exclusion of birds and bats. We refer out humane trapping of skunks, raccoons, snakes, and other nuisance animals. Local, foothill, family owned and operated, since 1994. Customer service is our first priority! Contact us today! 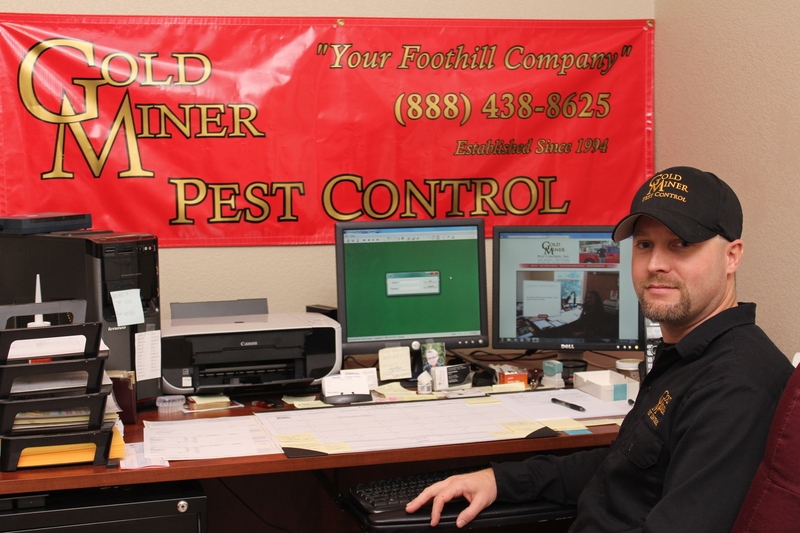 Welcome to Gold Miner Pest Control. We are a local, family-owned company that has been in business since 1994. 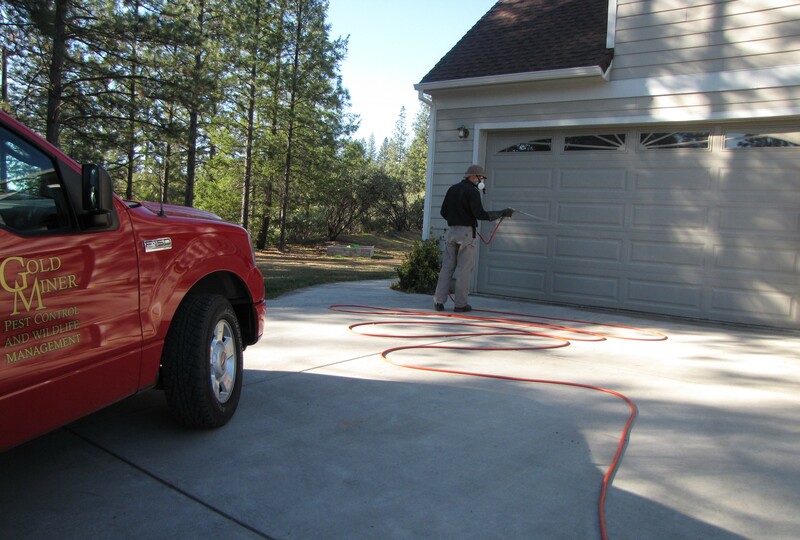 We service the foothill communities of Placer and Nevada counties, including Auburn, Colfax, Grass Valley, Alta, Nevada City, Penn Valley, Lake Of The Pines, Lake Wildwood, Lincoln, Rocklin, Roseville and the surrounding areas. 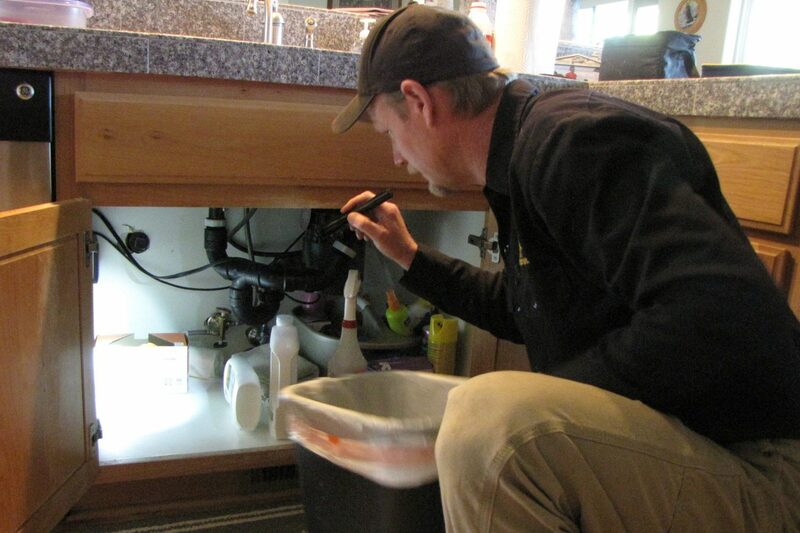 We provide pest control services for residential and commercial customers. When we say customer service and satisfaction is our top priority, we don’t take this lightly. Our entire company, from the way we choose our employees, equipment, and products to our “no-contract, guaranteed service” is designed around providing you the best service possible. Our goal is to treat you the same way we expect to be treated by providing you a service that is second to none. All of our technicians are vetted and state licensed. They are chosen not only because of their technical skills and knowledge but also because of their commitment to integrity, honesty, and customer service. They are held to the highest safety standards and are trained on a regular basis to uphold these standards. We choose our sprays (both traditional and botanical) and other pest control products carefully for both their effectiveness and safety. We strive to use the least amount of spray necessary to control the pest problem.We also use Integrated Pest Management to control the pest problems, which involves looking at the environmental conditions that may be contributing to the problems. If you are looking for a local, family-owned business with exceptional service to take care of your pest problems and treat you like family, give us a call.